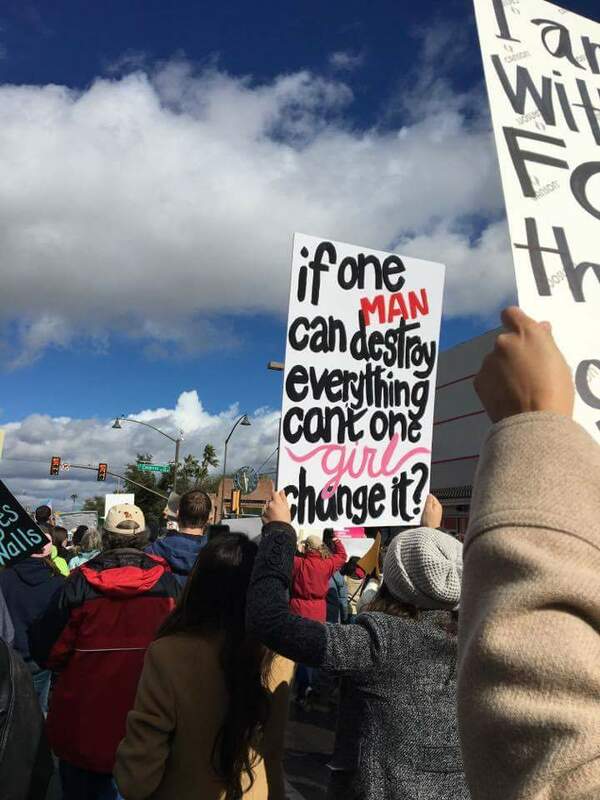 On Saturday I took Earth and Water into down town Tucson and we joined with thousands of others to march for women! I was super nervous because I'd never done anything like this before but it was great to be part of it, even at the fringes. I wish I could have brought all the kids but Sky and Fire would have complained about the cold (it was 40 degrees- they're such island babies!) and the wait. 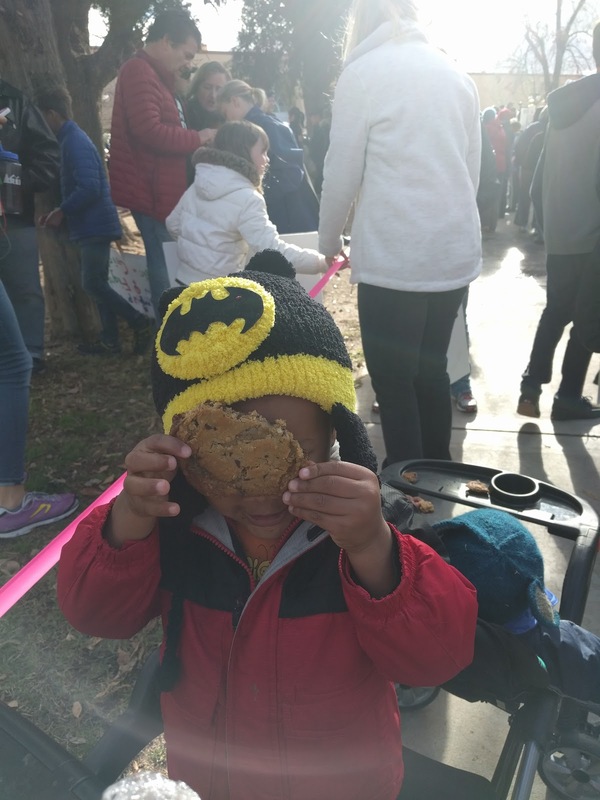 I was able to keep the little boys happy with giant chocolate chip cookies and then lunch during the speeches and they happily waved at everyone while we marched. 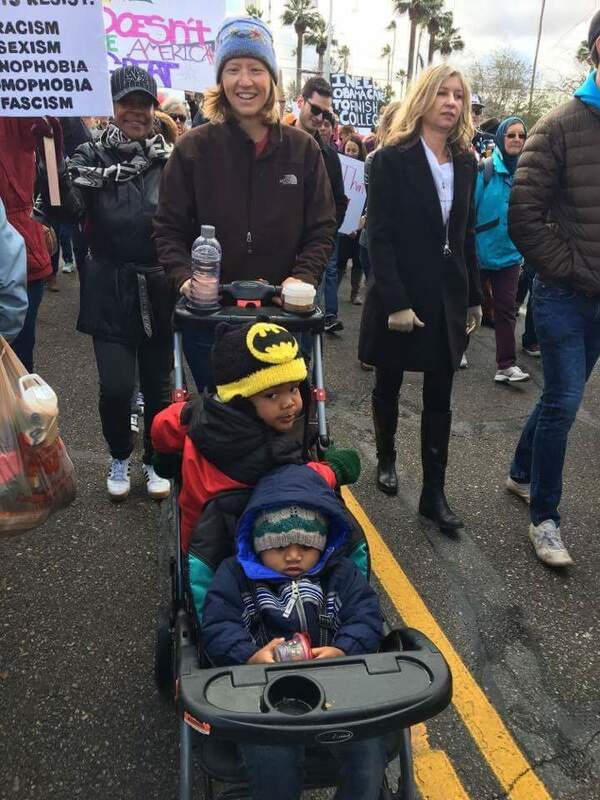 Because I had the stroller, I ended up at the front of the march and didn't have any trouble maneuvering along the route. 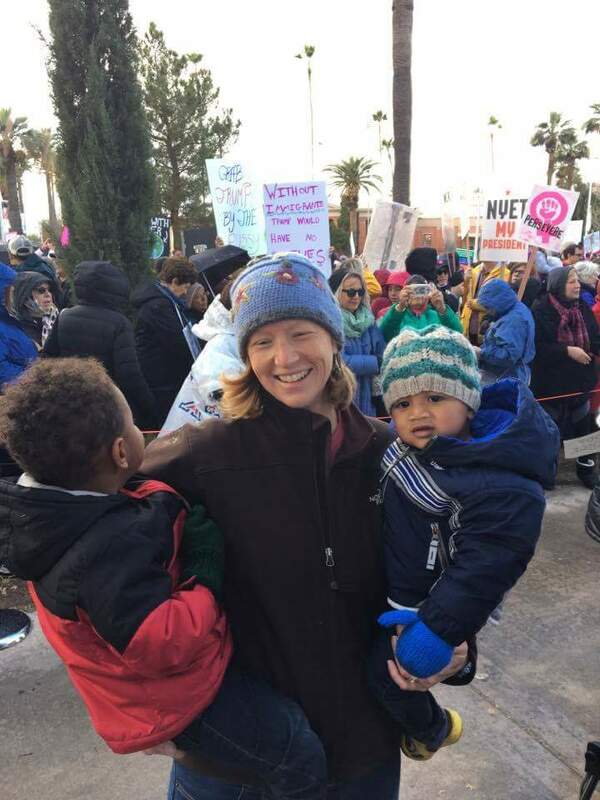 I didn't carry a sign or start any chants but my boys and I were there, showing our support for those who did and standing up against misogyny. It's awesome that you did this! Thanks Dara! I wish I could have done more but at least I was there and supported the cause. 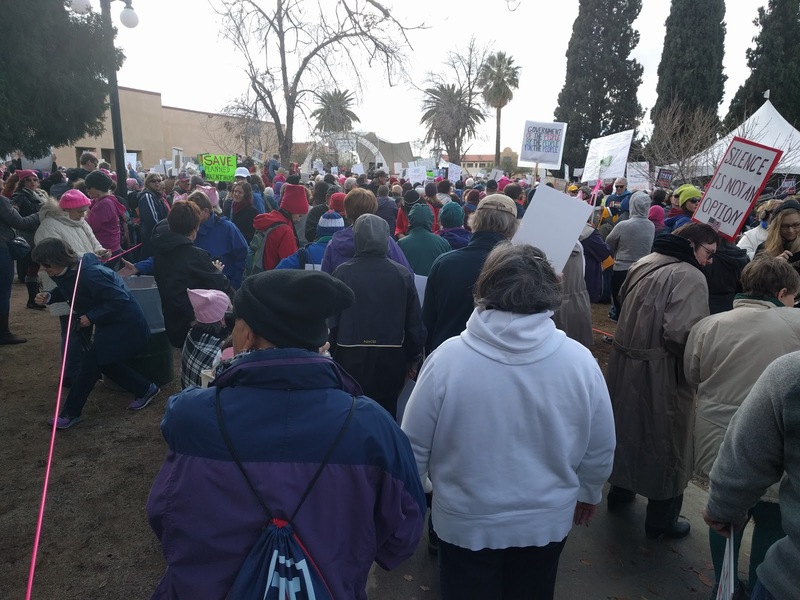 Did you march?